The lips and eyes are our two most influential facial features. They allow us to communicate facial expressions, desirability, and often times give away our true age. As part of the aging process, the lips can begin to lose fat and collagen, becoming thinner and taking on a harsher, more deflated look. This molecule is a natural sugar (carbohydrate) in the skin that draws moisture and water volume into the cells surrounding it. The lips can benefit from injection of a hyaluronic-based filler because it can replace lost volume that occurs with age. Your expert injector can provide you with as much volume as you need to restore the lips to a more youthful volume. You can opt to have injections done a little at a time until you achieve your desired look. Actual patient. Your results may vary. Injections can also provide you with enhancement of your lip shape and can also correct any asymmetry you may have. HA fillers are soft and flexible, so they are designed specifically for the lip area. This allows the injector to customize your results and to provide enhancements in stages if you’re not quite sure how much enhancement you’re going to be comfortable with. Some filler formulations come with lidocaine in the solution to help numb the area during injection. You can also ask for a topical numbing cream to help lessen discomfort on the surface of the skin where injections will be done. Nerve block injections can also be done (similar to what dentists do before dental treatments). An ultra-fine needle is used to help minimize discomfort during and after injection. Your provider will also recommend icing the area and avoiding sun exposure or the use of topical lip products for a certain amount of time. Allergic reactions are possible but very rare. HA fillers are specifically made to mimic the body’s own hyaluronic acid, so allergic reactions are not as common as with some other types of fillers. Some minor bruising may occur in certain individuals. This filler is so soft and easily injected that the treatment is usually gentle enough to not produce significant bruising in the majority of people treated. Uneven accumulation of HA filler in the lips right after treatment can occur. However, with movement of the lips, this issue often resolves itself fairly quickly. Contact your injector if a lump doesn’t go away after a couple of days or if tenderness occurs with the lump, as this may be the sign of an infection. This is not a full list of potential side effects and risks of HA fillers or lip injections. Speak with your medical provider prior to treatment for full disclosure of warnings before injection. 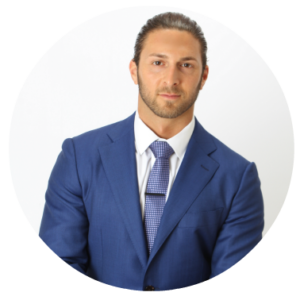 James Christian Sardelli, RPA-C, is a licensed medical professional with over a decade of experience providing expert-level injections in the lip and facial areas. His gentle touch, superb technique, and stunning results speak for themselves. With hundreds of happy clients in Commack, NYC, and the surrounding areas, you can feel confident visiting a James Christian Cosmetics location near you. Simply call (917) 860-3113 or 1-844-iBOTOX-Now to make an appointment with James today.